Jinzi is a prestigious modern Sichuan Opera that is considered to be one of the best Operas in China. DearHeart Productions was commissioned by the Chongqing Chuanju Theatre to shoot a film version of the opera in 4K/UHD with 5.1 audio, supervised by executive Producers Claire Evans & Vaughn Mullady, with the intent of releasing the film in cinemas around China. The Opera tells the story of Huzi, a man that lived in the early years of the Republic of China. Huzi is framed by Jiao Yanwang, a man who had murdered someone for money. 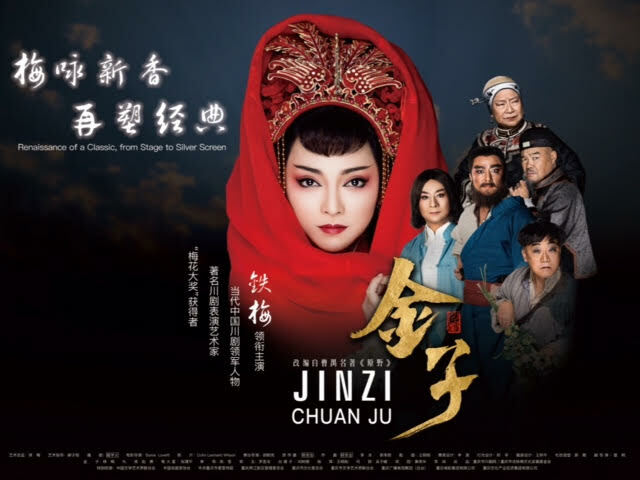 Jinzi, Huzi’s lover, is forced to marry Jiao Daxing, Jiao Yanwang’s son, and is tortured by Jiao Daxing’s mother. A decade later, when Huzi escapes from prison and decides to get revenge, drama ensues. Three complete public performances were recorded, with eight cameras at the Chongqing Chuanju Theatre, with additional scenes specially staged to enable a camera crane to be used. A comprehensive multi-track audio recording was made on location and the opera was subtitled live, at the same time it was being sung in Chinese. Once back in London, the offline edit was done here at OnSight. The OnSight team did the full 4k conform and provided a 4k DCP. OnSight’s Maggie Maciejczek-Potter was responsible for the Online edit and senior colourist Andy Lee worked in conjunction with Jinzi’s lighting director to achieve a 4K grade that makes the most out of the atmospheric feel of the show’s stage lights. "OnSight took us through the 4K post experience with delightful ease, it's an experience that we would highly recommend and look forward to repeating!" Susu has been selected for the 41st Montreal World Film Festival in THE FIRST FILMS WORLD COMPETITION. More than 100 news articles about the film have been published across major media channels, including BBC world Service, Montreal Festival Official Radio, China Xinahua News Agency, China News Agency, China Daily, Netease News, Sina Entertainment and many more. Susu, written and directed by Yixi Sun is the story of two Chinese Girls who are offered a film translation job, at a secluded, old English mansion. There they discover gruesome family secrets and learn about the traumatized past of the Kunqu opera star, Susu. They try to escape from the evil they have uncovered, but to their horror, soon realise that the mansion does not want to let them go. 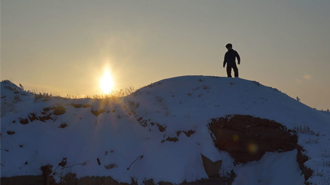 Emmy Award winning Spring Films have created 'Where The Wind Blew', telling the story of Kazakhstan's place in the Cold War struggle for nuclear supremacy, and the power of the human spirit as victims and participants from that struggle found their own ways to survive. This feature-length documentary follows Kazakhstan’s fight to be rid of its nuclear legacy and its call for a peaceful world free from the threat of nuclear weapons. Manolo: The Boy Who Made Shoes For Lizards lets you in behind the scenes to see the magic that goes on to create the world’s most sought after shoes. 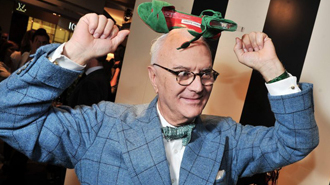 The documentary about the life of Manolo Blahnik, the genius creator that revolutionized footwear design, brings historic footage to the big screen and exclusive one-on-one interviews with the biggest names in fashion, like Anna Wintour or Rihanna. Growing up on a remote Spanish Canary island, Manolo made shoes out of sweet wrappers for lizards that he caught in his family’s garden.